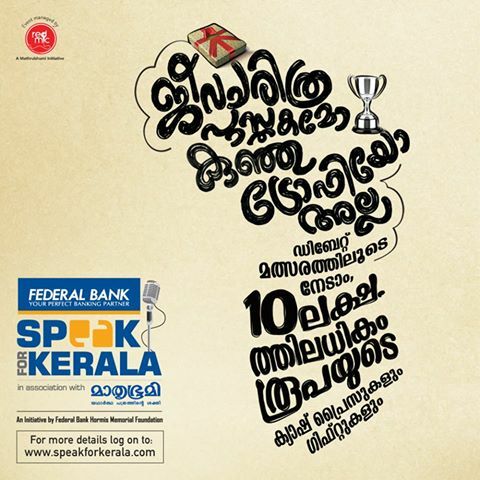 A statewide debate competition program conducted by Federal Bank in association with Mathrubhumi. Federal Bank in association with Mathrubhumi is proud to present an inter-collegiate debate competition. It provides a platform for all the college going students to prove their oratory skills and make their college proud in the state level competition. Guarantee the richness and grandest appeal to your college along with yourself by registering into the event. As soon as you click submit, after filling the details in the registration form you will get an automated call back where you have to record your speech for a minute. If by mistake you drop a call, you will get a message with a missed call number, place a call to the number and get a call back.